Continuing our look at the iconic vintage Rolex Daytona ref. 6263, we explore the Red Daytona versions and the Paul Newman versions. If you haven’t read Part I, we suggest you do first. The Rolex Daytona Ref. 6263 is a watch that collectors would love to have in their watch box. It’s interesting to note that earlier versions of the Rolex Daytona ref. 6263 did not, in fact, even include the Daytona signature on them—only Cosmograph. Remember, Cosmograph is the brand’s own label for a Rolex chronograph to distinguish them from other chronographs in the market. Starting in 1975 however, Rolex did finally include the Daytona name on the stainless steel versions of the ref. 6263. 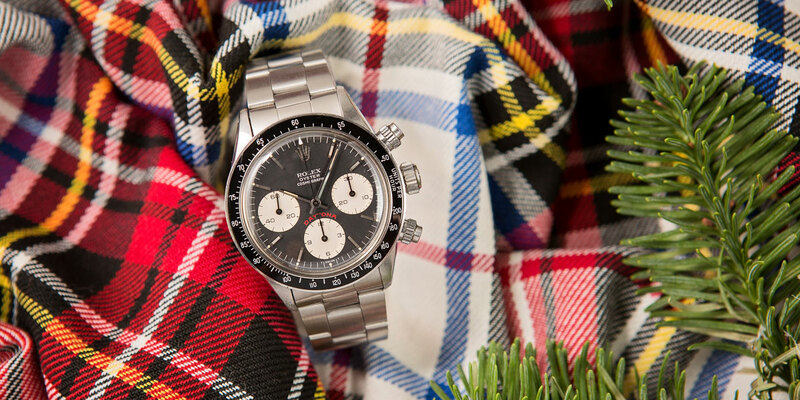 Always in red and present on both black and silver dials of the Daytona ref. 6263, the Daytona name arches above the subdial at 6 o’clock. Keep in mind that there are Big Red Daytona and Small Red Daytona watches with, as their names suggest, differing sizes of the red Daytona printing on the dial. Additionally, there are also differences in where the red Daytona text is placed in relation to that 6 o’clock subdial. The so-called Big Red Floating dials have the Daytona print further away from the subdial compared to other versions. Values of the red Daytona dial versions vary wildly. We’ve seen examples starting at around $40,000 and reaching well over $100,000. Particularly coveted and valuable variants are the Big Red Sigma Daytona dials with both the red text and the sigma symbols we discussed earlier. You can see the details of the Rolex Daytona Ref. 6263. Finally, at the top of the vintage Daytona heap are undoubtedly the Daytona chronographs equipped with what Rolex once referred to as exotic dials but now are ubiquitously known as the Paul Newman Daytona dials since the legendary actor was known to wear one. These particular exotic Paul Newman dials carry with them a handful of signature design hallmarks that set them apart from standard Daytona dials. First, there are the Art Deco style numerals on the trio of registers. Also on the registers is the presence of crosshairs, as well as square ends on the hash marks. Furthermore, the subdial at 9 o’clock includes 15, 30, 45, and 60 numerals rather than just the 20, 40, and 60 of standard Daytona dials. And finally, the registers are always in a contrasting color to the main dials, whether that’s a panda white dial with black registers or a black dial with white registers. It’s been said many times before that among all the six references that are available with Paul Newman dials, it’s the Daytona ref. 6263 Paul Newman that’s the most sought after. The market for Daytona ref. 6263 Paul Newman is extremely robust at the moment with values steadily on the rise. Christie’s sold an example in May of this year for $518,398! For an up-to-date view on current values of Paul Newman Daytona watches, including the ref. 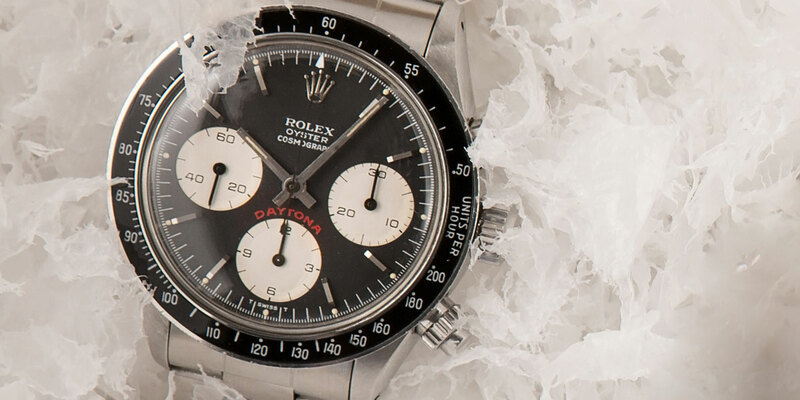 6263, don’t miss our Interactive Graph of Paul Newman Daytona Auction Prices. When all is said and done, pretty much any vintage Daytona ref. 6263 watch is a joy to wear and own, regardless of the dial variant. While they may differ in value, each dial, whether the Sigma, Big Red, Small Red, or Paul Newman, has its own character and appeal. A grail by any standard, the popularity of the Daytona ref. 6263 doesn’t look like it’ll be slowing down anytime soon. And if you’re lucky enough to have one in your collection, then you’ll be happy to know that their values are going in the same upward direction too!